Not in France? Choose your country's store to see books available for purchase. The world of work is going through a large-scale transition with digitization, automation and acceleration. Critical skills and expertise are imperative for companies and their employees to succeed in the future, and the most forward-thinking companies are being proactive in adapting to the shift in the workforce. 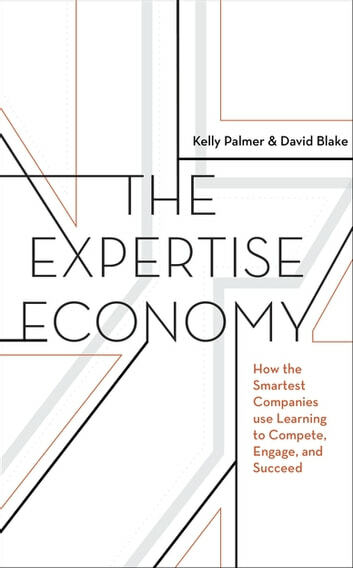 Kelly Palmer, Silicon Valley thought-leader from LinkedIn, Degreed, and Yahoo, and David Blake, co-founder of Ed-tech pioneer Degreed, share their experiences and describe how some of the smartest companies in the world are making learning and expertise a major competitive advantage. 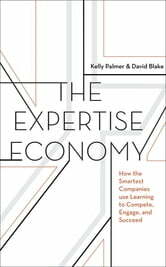 The authors provide the latest scientific research on how people really learn and concrete examples from companies in both Silicon Valley and worldwide who are driving the conversation about how to create experts and align learning innovation with business strategy. It includes interviews with people from top companies like Google, LinkedIn, Airbnb, Unilever, NASA, and MasterCard; thought leaders in learning and education like Sal Khan and Todd Rose; as well as Thinkers50 list-makers Clayton Christensen, Daniel Pink and Whitney Johnson. The Expertise Economy dares you to let go of outdated and traditional ways of closing the skills gap, and challenges CEOs and business leaders to embrace the urgency of re-skilling and upskilling the workforce.